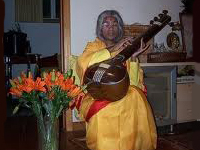 Shree Maa says that “Singing is the highest sadhana,” and music is a beloved part of the Devi Mandir tradition. Here you will find audio footage of Shree Maa singing traditional bhajans in both Bengali and Sanskrit, as well as her own devotional songs. 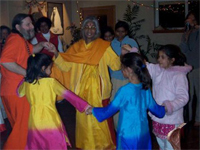 This collection contains several videos of Shree Maa singing for Lord Shiva, the Divine Mother, Krishna, Jesus, and Sri Ramakrishna. Also included are songs originally written by Ramprasad Sen, a great saint and devotee of Divine Mother Kali. Get a glimpse of what life is like around the Divine Mother! 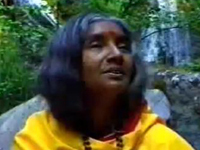 Filmed by devotees, these videos are a window in the world of one of the great female Saints of our time.